83 руб. 2-3 недели, 4955 шт. 5 шт. 5 шт. 75 руб. 3-4 недели, 767 шт. 1 шт. 2 шт. от 10 шт. — 64.80 руб. 420 руб. 2-3 недели, 194 шт. 1 шт. 1 шт. от 20 шт. — 77 руб. от 40 шт. — 70 руб. 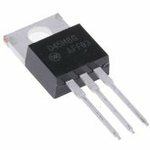 The D45H8G is a 10A PNP bipolar Power Transistor offers low collector-emitter saturation voltage. 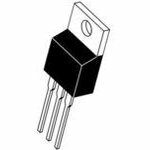 It can be used as general purpose power amplification and switching such as output or driver stages in applications such as switching regulators, converters and power amplifiers.